...beginning, reluctant, struggling and gifted readers. OUR ENGLISH LANGUAGE IS VERY RULE-ORIENTED. The problem is that most people don't know the rules or sound spelling patterns. This program teaches the rules and equips readers with step-by-step strategies to empower them to excel. It takes the average or gifted reader/speller to the next level. Reading First: A publication from the National Department of Education states that teaching students to read using explicit phonics strategies is imperative to ensure reading success for all students. Making Reading Heavenly gives you the needed background for such phonics instruction, while providing you with lesson plans, word lists and games to make learning to read easy and fun! MRH provides you with the tools you need to turn students into successful readers and spellers. I have fused many different educational programs together to create this system. I am confident that this strategy will be successful with any child you are working with who has an average or above IQ. * Do you ever struggle to explain why some words are spelled one way and others another? * Do you have specific clues you can give your kids to help them master such words? 1) have vs. gave - one vowel short and the other vowel long? 2) picnic vs. stick - you spell pic with a 'c' and stick with a 'ck'? fudge has a short vowel and a 'd'? 4) inch vs. itch - why does itch have a 't' in it? 5) ago vs. under - why do you sometimes spell the 'short u' sound of 'uh' with an 'a' and other times with a 'u'? 6) shutting vs. shooting -why do you double the 't' in shutting but not in shooting? *These words are each spelled differently because of a specific rule or spelling pattern in our English language. If you haven't given your child the rules to help them spell these words correctly, then you are setting them up for failure. If kids know these rules and sound spellings, then they can be successful spellers! Making Reading Heavenly equips you with this knowledge so that your students can be successful. * Making Reading Heavenly takes a different approach to teaching reading and spelling. For example, most curricula push spelling lists to help those who struggle with spelling. However, research shows that spelling lists are not the answer for most of the struggling spellers out there. In these classic scenarios, words are practiced for 3 to 4 days at home and then quickly forgotten in weeks to come. When asked in 6 weeks how to spell list words, they are often spelled incorrectly again. *The Making Reading Heavenly curriculum provides rules for the child so that weeks down the road the child can spell many words correctly based on an application of rules rather than pure memorization. Most kids can do okay with spelling lists because they have good sight memory. They can see a word and remember it. This is especially true if they have seen the word numerous times, because they are readers. But what about other kids that are poor spellers and do very little reading? If you have a child that fits these categories, then Making Reading Heavenly is exactly what you are looking for! FOOD FOR THOUGHT: If you have the choice to teach your child to memorize 100 words OR to memorize 100 rules and sound spellings, think about the end results for each choice. If you choose to have your child memorize 100 words, your child will be able to spell 100 words. If you choose to have your child memorize 100 rules and sound spellings, your child will be able to spell any phonetic word in our language. Making Reading Heavenly equips children with the rules that they need to be successful spellers and readers. It is that easy! Another benefit of this program is that when you create a good speller, typically you create a good reader! When you read a word you rent it, and when you spell a word you own it! The beauty about this approach is that you do not need to purchase some expensive reading series. 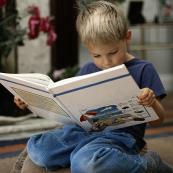 You can use books from the public library to help your child gain reading success. Making Reading Heavenly allows you to do as much or as little as you feel comfortable with initially. If you are satisfied with your spelling, reading or writing program, you may keep what you have and simply use this as a word attack (phonics) system. However, at some point to be the most effective, you may find yourself writing your own spelling, vocabulary and phonics lists. You can use words for reading and spelling that come from units that you teach in science or social studies. This is an excellent way to help ensure a student's success by including and supporting the reading, vocabulary and spelling within each subject. As a teacher, it is very rewarding to see your student's progress when utilizing the ideas laid out in this program. Teaching using this logical, predictable process makes the program very successful. Lessons are designed to break down essential skills into very doable parts for learners to simplify things. Research shows that teaching explicit phonics is a key for many readers. Making Reading Heavenly is a successful program that really works, because it is a program that engages the students. It can be used in a competitive format to motivate kids. This creates an exciting journey that provides students with great skills, solid self-concepts and a life long love of reading. One other thing that I need to mention is that this program will work for learners of all ages. 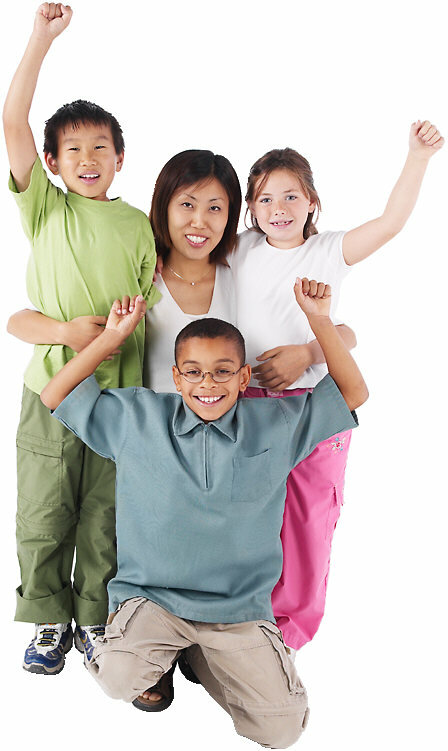 This program can be used with multiple age groups. Portions of it can be used with preschoolers to give them a solid base of knowledge and if the child is interested, start them reading. Typically if you are working with a kindergarten, first or second grade child you will be able to use this as your primary phonics/spelling curriculum. If you have children with learning disabilities or struggling readers at any age, you can individualize the program and adapt it to older students by changing the words you select. When working with older learners, simply pick multi-syllable words for them to write from the word lists so they will not think of it as too easy. Right now you might be thinking that this is just too good to be true or that it will cost a fortune. You might think this will require you to go back to school and spend hours trying to fill in the missing pieces. However, none of this is true! All you need is an open mind and a passion to learn to apply these step-by-step strategies. IF YOU HAVE SAID YES TO ANY OF THESE, YOU HAVE COME TO THE RIGHT PLACE! Do you ever struggle to explain why some words are spelled one way and others another? *We have had many inquiries as to whether our program is a scientific, researched based program. Making Reading Heavenly is a collection of Scientifically Research-Based principles, practices, strategies, and content. *We do consider Making Reading Heavenly a program that employs promising practices based on Orton-Gillingham strategies. In April, 2014 the Iowa Legislature passed Senate File 2319 recognizing Dyslexia as a learning disability in Iowa. Orton-Gillingham is the suggested educational method University of Iowa doctors recommend when a child is diagnosed with dyslexia. The foundation of Making Reading Heavenly and its techniques are based on Orton-Gillingham instructional strategies. *We feel this program is the best choice for all students, as not only does it allow the struggling reader to be successful, it also allows a gifted child to advance independently at a boundless pace. Making Reading Heavenly might also be a curriculum to consider if your school has a growing ELL population, as several schools across Iowa have found this program has given them great success with ELL students. Is Making Reading Heavenly a researched based program?